We started to clean the bathrooms a few days ago. This is what it looks like right now. I didn’t clean it up after taking this photo. I just closed the door to the bathroom. 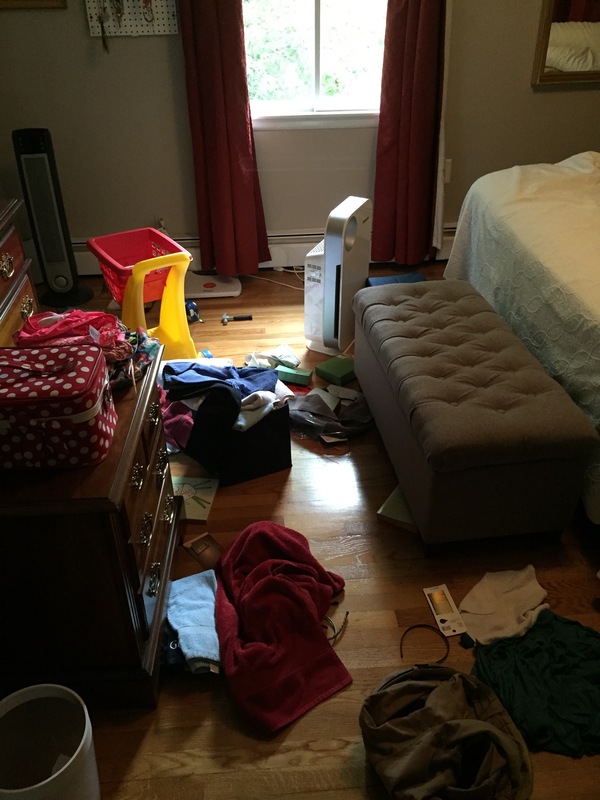 Having kids – multiple kids especially – sometimes makes your home… well, a disaster zone. Depending on the number of kids and their ages, that could be a mild-to-massive understatement. Typically, Hubby and I are pretty clean. We like our dishes to be done soon after meals (partially because we’ve had ants in the past, and THAT, my friends, is a terrible thing to deal with). We like our laundry to mostly be clean and put away. We do not like to feel grit on the floor underneath our feet. These are just a few examples of a perfect world at the Hsu house. However, we’ve found those goals to be basically unattainable. Dishes? As long as they’re soaking, they’re good for several more days hours. Laundry? If you’ve got clean underwear, you’re all set. Grit-free floor? Yeah, right. Vacuuming happens every other day or so, and I still feel the grit. And what have we not even mentioned? Handprints on windows and mirrors, rings in tubs and toilets, dusting (who has time for that?!) and all the rest. My kids are like dirt bombs. I bathe them every single day (really, I do!) and somehow, they’re tracking food, dirt, and something that makes spots on the floors (Their sippy cups? Drool? The world may never know.) in and out and around the house all day long. Everything I accomplish during naps or after they go to bed seems to be undone within a matter of minutes. We’re thinking of quitting the housekeeping thing altogether. Current situation on our bedroom floor. We’re switching out furniture, and someone (rather, two someones) decided to pitch in. 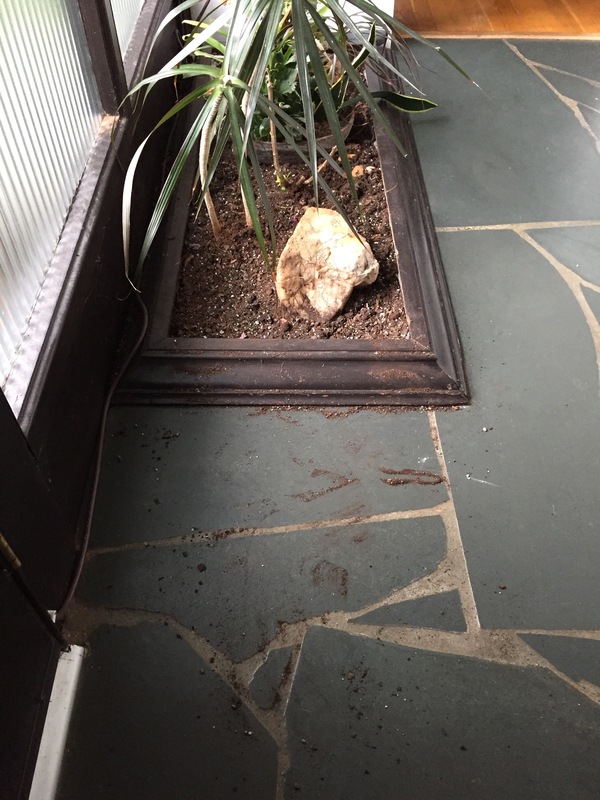 Our normally lovely indoor garden, as redesigned by Joseph (with a measuring spoon and a small pitcher, I might add). 7. Attach Swiffers to your kids’ feet whenever you’re at home. JUST KIDDING! Or am I? 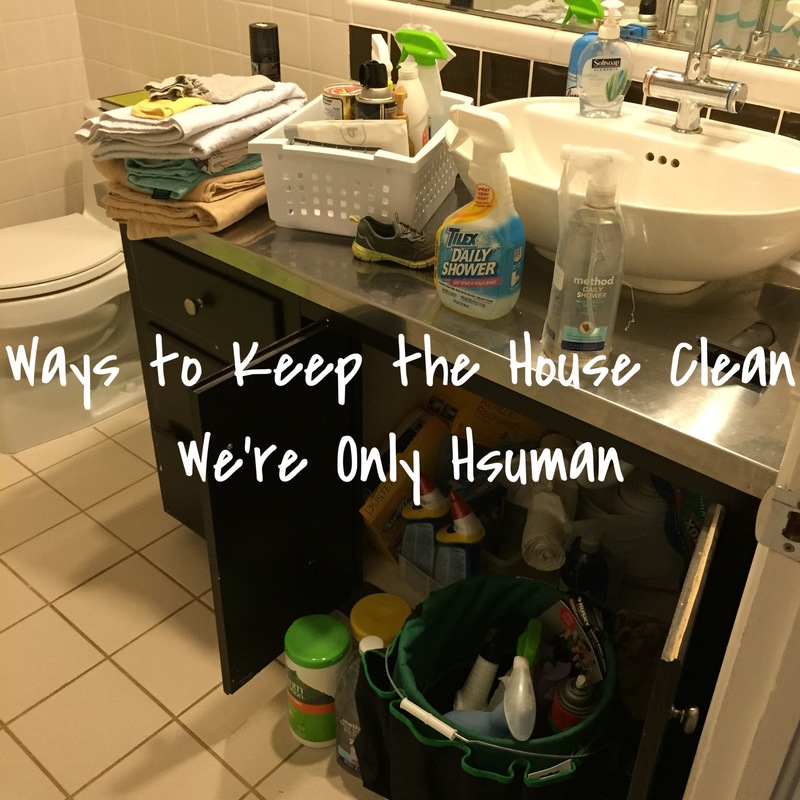 What are your tips (real or not real) to stay ahead of the game and keep your house clean? Previous PostThings Toddlers SayNext PostI’m an Extroverted Person, But an Introverted Mama. I actually do put the laundry on the couch. It is the first thing you see when you walk in the door, so it does help me put it away quicker, even if that’s sometimes three days instead of five! I knew I had at least one good idea on here! Yeah, putting laundry on the bed would end in one of two ways: I’d stay up however long it took to fold it, or Hubby would just throw them onto the floor, and I’d be upset about it later!! Fruit flies are awful! And it seems like the only way to get rid of them is not have any food 😂 We got a handheld vac and the battery quit on us. We should probably replace it because I think you’re right… It’s a helpful and easy-to-use tool!